For centuries, Burma has been considered the land of the Valley of the Irrawaddy River by the ethnic majority Bamar and also by successive sovereigns, British colonisers, other inhabitants of the country and by national and international researchers. The river has always provided water for domestic use, irrigation and transportation, as well as fish for food. Today, the perception of the centrality of the river valley for Burma’s territory not only belongs to the Bamars, but is shared by the Kachin ethnic tribes who live at the river’s source, at the confluence of the N’mai and the Mali rivers in northern Kachin State. It is also the way that geography is taught to Burmese children at school. This leads us to ask a number of questions: How is the river valley perceived through indigenous eyes? It can lead to very unexpected answers, as when three years ago, a woman living along the Irrawaddy banks told me that she didn’t “find the Irrawaddy very beautiful” because she didn’t “have any time to gaze at the river.” How have perceptions of the Irrawaddy’s role evolved in terms of the country’s organisation, beyond traditional views? How does the mental map of the country’s inhabitants relate to the economic and urban map of Burma’s territory? My analysis here is focused on the relationship between inhabitants and the place they live, and on the perception of their territory that they build from the reality. By “perception,” I mean “how things are remembered or recalled by people.” It also refers to the ways in which millions of pieces of information about places are received by people through their senses of sight, hearing, touch, smell and taste. It also stems from secondary sources, for example through the media. Because of the recent economic openness of Burma, the pressure on the Irrawaddy River has never been stronger and its protection has never been so vocally defended by political and intellectual elites, the local riparian inhabitants — those living along the river banks — the Bamars and the Kachins, and by the NGOs supporting them. This vision is developed and shared among various discourses such as the “Irrawaddy Appeal” or “Save the Irrawaddy.” First, I will analyse how the “Great River” of Burma is seen and defended by groups within civil society. Then, I’ll confront it with the economic and urban roles of the river on the territory. Is there any economic decline of the river valley? Finally, I will examine the new role played by the Irrawaddy. Even though there are four other major rivers in the country (Kaladan, Chindwin, Sittaung, Mekong), the Irrawaddy has remained the one called the “great river” for centuries. It has long been considered the major artery of the country, although we did not get any testimonies defending its greatness before the 19th century. Nonetheless, the Irrawaddy was an axis of settlement and urbanisation, thanks to its inheritance of the royal capital cities along the river banks. The Valley is still an important urbanisation axis although its population growth is not as dynamic as it is in other regions. The perception of the Irrawaddy as the artery of the country still remains. The movement to save and protect the river has never been stronger, especially since the official start of the Myitsone hydroelectric dam in 2009. As the dam project took its toll, civil society inside and outside of the country organised itself to protect the river valley and its people. Civil society in Kachin State is spearheaded by religious organisations, through which Kachin society is traditionally structured, and by social networks, which have come together for environmental and social causes to avoid the building of the Myitsone dam. Although they are not environmental groups, they are also fighting together against the flooding of a zone that includes fauna and flora, a 100-year-old Baptist church, a Roman Catholic church, and a Buddhist pagoda, which is also part of the project. The flooding would be a loss for the patrimony and cultural inheritance. Moreover, the Myitsone project has other impacts on religious practice, given that interviewees told me that people are still baptised in the Irrawaddy at Myitsone. The repercussions of the dam project will not only affect the territory of Kachin State but its impact will be felt all along the Valley, especially in the delta area. One inhabitant of Tang Hpre told me in 2014 that, “This natural site [Myitsone] is more crucial for the people living in the plains areas than the ones in the mountains; they would be more affected if the dam is built. It is an essential logic to keep in mind.” The low plain of the delta, one of the most important economic regions, relies on the upper lands, especially on the water supply for irrigation, home use and fishing. More than 95 percent of the river inhabitants are only concerned with their livelihoods while 5 percent are involved with ecological issues. Some other people, maybe around less than 5 percent of the Burmese inhabitants, are involved against the Myitsone dam project. Most of them live in the Irrawaddy basin, but not necessarily along its banks. The voice of these civil society groups is also shared by politicians from the National League for Democracy and is reinforced by them. For example, Aung San Suu Kyi got more involved in 2011 by publishing an appeal called “Save the Irrawaddy!”. They have both a common friend but many also perceive a common “enemy” — the Chinese companies investing in Burma and destroying its natural resources. Even the previous Union Solidarity and Development Party government, under Thein Sein, also declared its “Irrawaddy Appeal” before choosing to suspend the Myitsone dam project. A river valley in economic decline? Today, however, the role of the Irrawaddy River is in decline, despite two economic centres (Rangoon and Mandalay), two major agricultural regions that are still situated along its banks (the Irrawaddy Delta and Mandalay Plain) and its fisheries. The agriculture and fisheries sectors, both affected by Cyclone Nargis in 2008, nowadays are experiencing very slow development. Agriculture along the Irrawaddy is still mainly labour-intensive, with the use of few fertilisers and sparse mechanisation. Industries are also sparse along the Valley and transportation is very slow. The economic development of Burma has also suffered from nearly 50 years of dictatorship and, more recently, six years of renewed conflict between the government and the Kachin Independence Army (KIA). Because of this, riparian populations have been displaced, lands have been seized and locals have been killed. These reasons explain why the general economic and technological development of the Irrawaddy River Valley is slow even though it might change with recent economic development. For example, Rangoon, which is situated along the Rangoon River — the eastern branch of the Irrawaddy Delta — was the capital city of the country until the 6 November 2005. The capital was moved to Naypyidaw, 350 kilometres to the north, on a tributary of the Sittaung River. The Sittaung valley is situated 150 kilometres to the east of the Irrawaddy Valley. Because of the position of the new capital, all new roads built lead to it. This new concurrence is weakening the role played by Rangoon in territorial dynamics. With the moving of the capital city, is the Sittaung Valley becoming competitive or complementary to the Irrawaddy River Valley? Could it also explain the economic decline of the Irrawaddy Valley? The Irrawaddy Valley is still the main populated valley of Burma, but it does not have the largest population growth compared to other regions, even though Rangoon and Mandalay, the two main economic cities, belong to the Valley. The economic importance of border areas is also a reason for the Irrawaddy Valley’s lessened attractiveness, as many move to the border to seek out new opportunities. 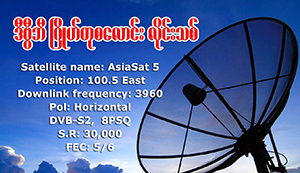 Most of the economic activities of the Irrawaddy Valley are in decline. However, the Irrawaddy Valley is still the major agricultural region and the largest fishery zone. Of course, even if a major part of the river valley is in decline, its inhabitants retain the way of life they’ve had along the river for some 60 years: They practice the same activities, which are mainly unaffected by globalisation. For this reason, I consider what role the valley might play at a local scale, even if its role is shifting at the scale of the nation. Is there a new role played by the valley at a local level? The Irrawaddy Valley’s environment is slowly becoming more central to the daily lives of Burmese inhabitants, especially in the urban zones. Although it a less visible reality in Burma than it might be elsewhere, river banks are no longer dedicated only to economic functions. Even though the new capital city does not belong to the Irrawaddy Valley anymore, the ancient major economic centres are still increasing their role in the territory. Naypyidaw’s airport was opened in 2010, but most tourists and businessmen arrive in Burma through the Rangoon and Mandalay airports. The head offices of Burmese companies, which were supposed to have moved to Naypyidaw, have been maintained in Rangoon. Along the banks of the Rangoon River, the eastern tributary of the Irrawaddy, are new projects such as industrial and special economic zones, including those of the Thilawa deep-sea port along with housing zones. For example, “Star City,” called “the Burmese Singapore,” is a housing project built along the opposite bank of Rangoon’s central business district. The recreational function of the river banks has not yet been developed but because of the construction of one or two other central business districts, the old business district situated in downtown, close to the port, will be renovated, meaning further investment will likely come to the Rangoon River’s banks. The stance of civil society toward the Irrawaddy River has long remained the same. But in Kachin State, the inhabitants are nowadays more focused on maintaining their livelihoods and on the resolution of the conflict between the KIA and the Burmese military than on the defence of the river. The population has been impoverished by the conflict, farming lands have been seized by the government and homes destroyed. Tens of thousands have been displaced. Nonetheless, Myitsone remains an important cultural symbol for the Kachin people and the Burmese elite; they did not forget that construction of the dam could start again after the 2015 elections, even if it hasn’t yet restarted in early 2017. Civil society groups are still concerned by the project, but it hasn’t been strongly back on the political agenda, largely due to the ongoing conflict. The cultural role of the Irrawaddy has retained meaning throughout Burma’s history, although nowadays the Sittaung is important too. The natural resources of the Irrawaddy are a gift and a curse at the same time. In 2017, the river is playing a more limited role in the national territory and in the country’s economy, but there could be a renewal of its role at a local level in the coming decades, especially in the major cities and economic capitals of Rangoon and Mandalay. Since 2003, Marion Sabrié has been travelling to Burma and along the Irrawaddy River banks. She got a B.A. in Burmese language from INALCO in Paris. While living in Rangoon between 2007 and 2010, she did her fourth year of Burmese language at Yangon University of Foreign Language. Her Ph.D. research focused on the role played by the Irrawaddy River on Burma’s territory. She is currently teaching geography of Burma at INALCO. She is also an assistant lecturer in the Geography Department of Paris 13 University. Usually I do not examine submit on weblogs, however want to express that this specific write-up really pressured us to think about and also do it! The producing taste continues to be surprised us. Thanks, rather excellent submit. Hi, very good webpage you’ve got presently. I’m very pleased to find this web site. I want to to thank you for your time due to this wonderful read!! I definitely appreciated every bit of it and i also have you book marked to check out new stuff on your site. It really an interesting platform for me and i am so glad to mentioned this solitaire for you, it is really helping to improve your patience level in without facing any account login.